2017 was a year of reviews in Australia's Aged Services industry with a key focus of achieving an aged care system underpinned by the principles of ageing in place, consumer directed care and market based competition.One strategy that has now been finalised, is that of the aged care quality standards. Building on three pillars: a single set of aged care standards operating across all aged care services; a streamlined approach to assessing provider performance against the quality standards; and improved information on quality to assist consumers to make choices regarding the care and the services they need.Now is the time to attend a LASA Masterclass to ease your anxiety and work through the systems you already have in place. Sharyn has worked in aged care for more than 20 years, including the past 10 as Operations Manager for a small private operator. In this role, Sharyn was responsible for the day to day operations of 140 residential aged care beds across two sites, one metropolitan and one rural. 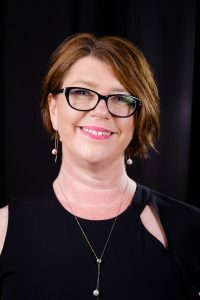 Sharyn’s role spanned everything from human resources and budgeting, to ACFI funding and the Aged Care Act, and compliance with the Australian Aged Care Quality Agency. The experience in this position this has given Sharyn great insight and understanding of balancing the day-to-day aspects of managing a facility at the coal face.